How will divorce affect my children? What can I do to make this transition easier for them? These questions reflect the concerns of most when starting the divorce process. So what are your choices if you want to use compromise and negotiation to resolve your divorce? Consider using divorce mediation or collaborative law rather than litigation to work out a divorce settlement that is fair to both parents and best for the children. If both parents are able and willing to participate in a non-adversarial process, they can reduce the negative effects that a high level of conflict in divorce can have on children. The following are 5 ways that divorce mediation and collaborative law can benefit children. Litigation can exacerbate conflict between spouses — the adversarial nature of the process puts people in an offense-defense posture seeking a win-lose outcome. In mediation and collaborative law, the approach seeks to move past a “right vs. wrong” mentality and instead focuses on understanding what is important to each person, and then exploring options for settlement to find a solution that is fair for both parties. The parties work with each other to solve a common problem, rather than against each other. One of the greatest benefits of mediation and collaborative law is that it allows the opportunity for parties to break through old patterns of communication. With the help of a professional, whether it be a mediator, collaborative attorney, therapist or coach, the parties are encouraged to be conscious of their communication and mindful of their words. The professionals are there to help guide the discussion and offer suggestions if old patterns keep surfacing. For example, if the parties are consistently interrupting each other without allowing the other party to speak, the mediator may suggest that they each take turns speaking directly to the mediator rather than the other party. The other party can write notes to remember his or her responses, but cannot interrupt. This exercise forces each party to actively listen rather than interrupt with a defense. The ability to resolve conflict constructively is an invaluable tool when it comes to co-parenting. Every family situation is unique and a settlement agreement should reflect just that. In mediation and collaborative law, the parties have full control over all decision-making. They may choose to seek the advice of an expert, such as a therapist or child specialist. Ultimately, however, they are responsible for the final decisions. After all, no one knows their children better than the parents. 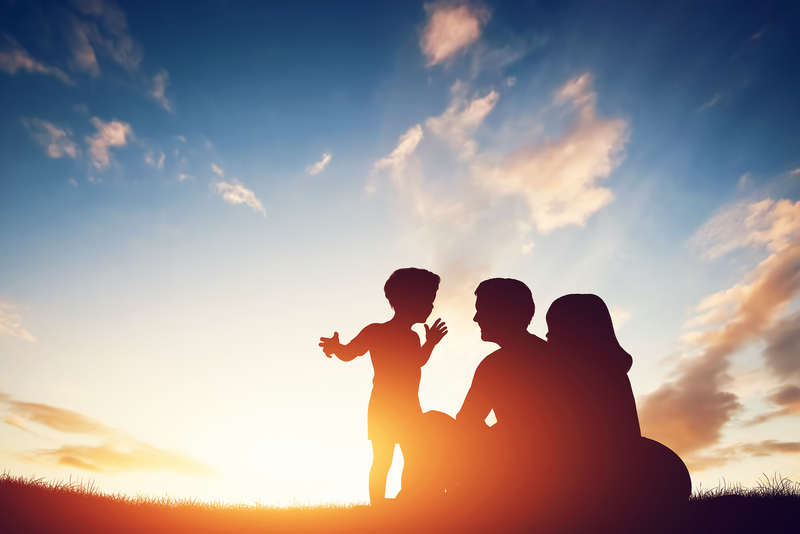 When the parties work together to figure out issues relating to child support and custody they are capable of customizing a plan that works best for them, including how and when they will tell the children about the divorce. Since the parties are in control of the decision-making process, they have the opportunity to think outside of the box. It is important that parties understand the likely outcome in court (to the extent that is possible to know), and they may choose to follow that likely outcome. However, they are not bound to accept the solution that a judge would order. In mediation and collaborative law, the parties can consider creative solutions that could not be ordered by a judge in court. This is a great benefit since a strict legal result sometimes does not feel fair to one or both parties. Together with the mediator or collaborative attorneys, the parties will brainstorm all of the possible options and evaluate which ones would be best for their situation. In litigation, the timeline of the divorce is dependent on the court system. In mediation or collaborative law the parties have control over the timeline. This can be advantageous for many reasons. For example, sometimes mediation will stop for a few months to allow the parties to see a marriage or child therapist if they have difficulty agreeing to issues involving the children, or to try out a parenting schedule for a few months to see how it works before committing to a schedule. Other people may want to move through the process as quickly as they can so that they can begin moving on and preparing the children for the new normal. The bottom line is that parents can influence the how their children cope with the divorce by seeking to resolve their conflicts constructively. This is not always easy to do since divorce often brings up feelings of disappointment, anger and resentment for the parents. The challenge is to act as a team trying to solve a common problem, rather than as rivals trying to win, despite the difficult emotions that accompany divorce. To read more about whether mediation or collaborative law would be a good choice for your divorce, click here.